Codema launched its brand new Think Energy campaign in Dublin City Council's Civic Offices in June 2013, as part of EU Sustainable Energy Week. The Think Energy campaign aims to inspire Dublin City Council staff to become more energy efficient by understanding more about the building that they work in and learning how their own behaviour can play a significant role in reducing the overall energy demand of the building. 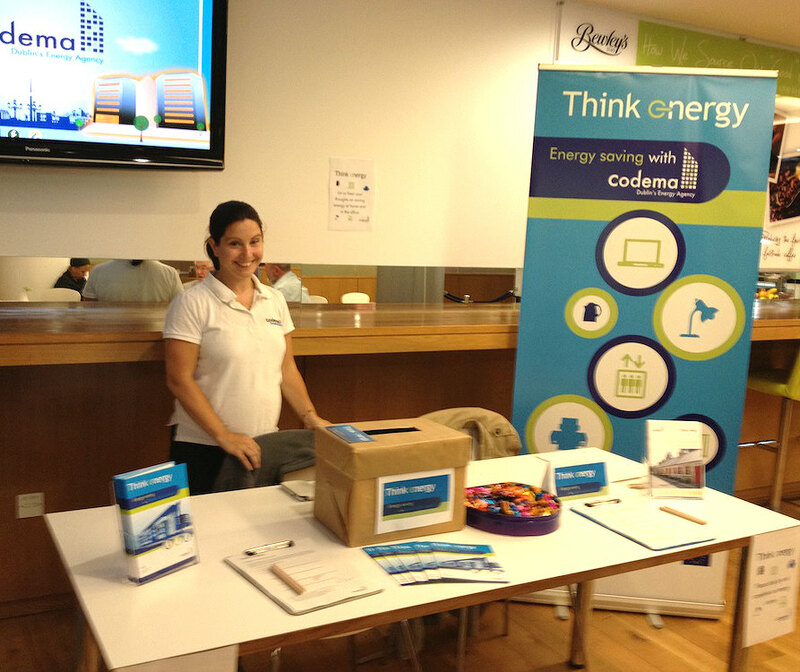 To kick-start the campaign, Codema set up a stand in the staff canteen in Civic Offices on Wednesday, 26th June from 9.30am – 2.30pm where they invited DCC staff to participate in a quick survey about saving energy in the office and at home as well. As part of the Think Energy campaign, Codema provided regular energy-saving tips that could be applied in the workplace or at home too.